Against all opinions it pretty damn easy to buy a perfectly ripe avocado from the supermarket or from the farmers market. This is what I can say now, after at least 20 rotten avocados + 20 unripe ones, bought in my first attempts of introducing avocado in my diet. 😀 … I wasn’t a genius at the beginning. Well since then, things have changed and I became a master in choosing perfect avocados from supermarket. After countless fails, I finally managed to know how I can recognise a perfect avocado. I can even give classes on this subject 😀 !!! Also, avocado is loaded with a lot of nutrients (vitamin K, vitamin A, vitamin C, vitamin B5, vitamin B6, vitamin E, Folic acid, Potassium, Magnesium, Copper, Iron, Zinc, etc) + fiber, which makes it even more perfect 😀 ! I suspect that maybe some of the people, who didn’t like it at all, didn’t eat it properly ripe, the first time they have tried it…or who knows why? Now let’s cut to the chase and see how we can pick up the perfectly ripe avocado from any supermarket, without having any kind of difficulties, at all. This is the first step when you choose to buy any type of fruit, especially avocado. Now if you want to eat the avocado right away or that day you must pick it already ripe. This means that you must search for an avocado that has the colour: dark brown (or maybe a reddish brown). This aspect is very important and it’s a major step ahead. If you want to eat it, let’s say, in a few days, you can pick a green or a greenish brown one. Avocado will ripe at room temperature in approximate 5-6 days. So it all depends on when you want to eat it. This step is crucial! 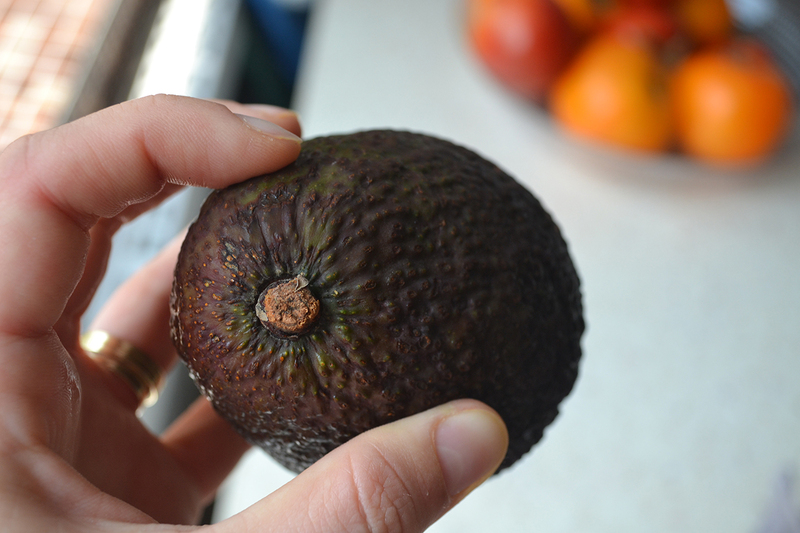 You can have a perfect dark brown avocado which is either not ready to eat or you can have a perfect dark brown avocado which is overripe and who knows, maybe already rotten. We want to choose a perfect one right? 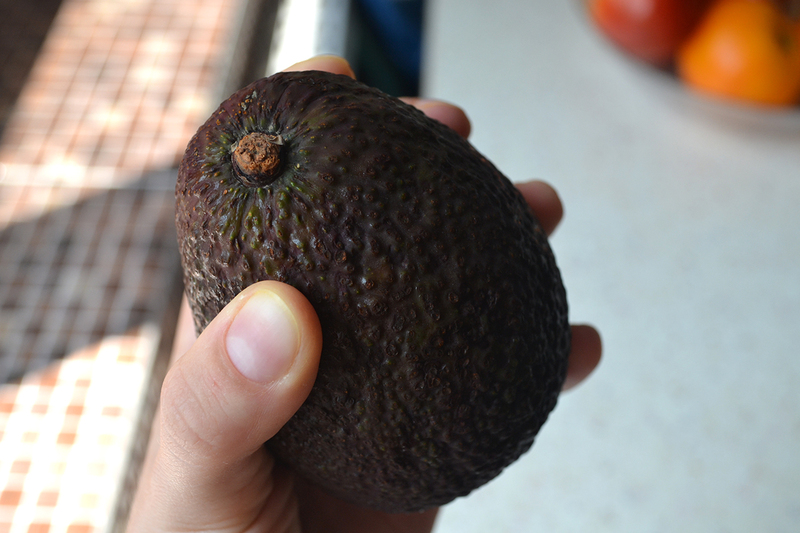 Soooo… take the avocado in your hands and squeeze it gently to see how firm it is. You don’t want it to be firm and you don’t want it to be mushy either. The perfectly ripe avocado will have a little give, not too much, but just enough to feel like is ripe (slightly soft) but not overripe. With practice, you will learn what I am talking about; it’s not hard at all. There is also another way of making sure that the avocado is ripe, but I don’t like to use this method too often. This is the easiest part. Look at the avocados stem and then try to remove it from the avocado. If the stem comes off quickly and easy this is a good sign that the avocado is ripe. But be careful and pay attention to the colour of the avocado under the stem; it should be a greenish-yellowish colour. 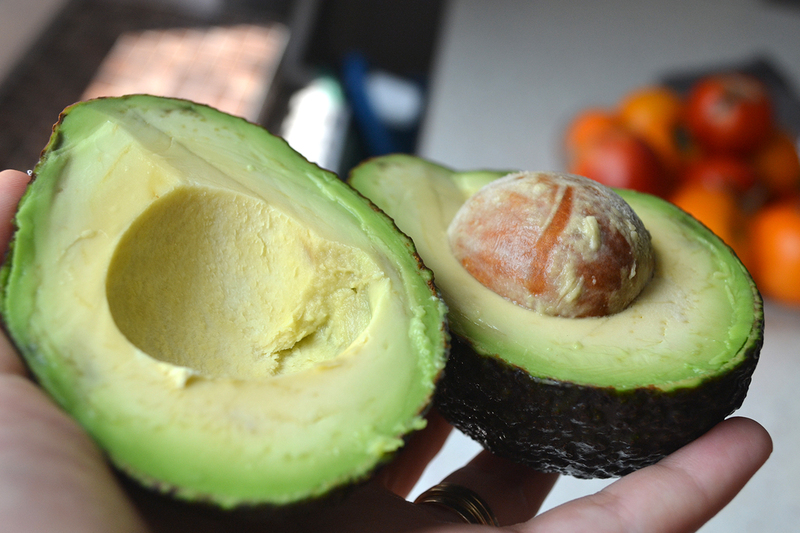 If the colour is brown, this means that the avocado is overripe and might have rotten parts inside it. The best way of detecting a ripe avocado, in my opinion is to combine TIP 1 with TIP 2, and as a last resort use TIP 3. Remember, if you want to eat the avocado now or in the next 48 hours choose it using the above methods, if not, just buy a regular green and firm avocado, but make sure to have the stem on (in this way you will make sure that will ripe correctly and will not rot), and it will be ready to eat in 5-6 days if you store it at room temperature, as I already mentioned before. Ma bucur mult sa ne cunoastem aici pe blog :). Sper din suflet sa iti placa si iti multumesc pentru cuvintele frumoase, inseamna enorm! Tocmai am cumparat (pentru prima data) doi avocado prea copti …innegriti pe alocuri in interior. Am facut guacamole si nu mi-a displacut gustul, insa initial am fost foarte dezamagita de alegere. M-am gandit ca mai bine luam necopt si așteptam. Acum, dupa ce am citit regulile de mai sus sper sa nu mai dau gres. Multumim de sfaturi!